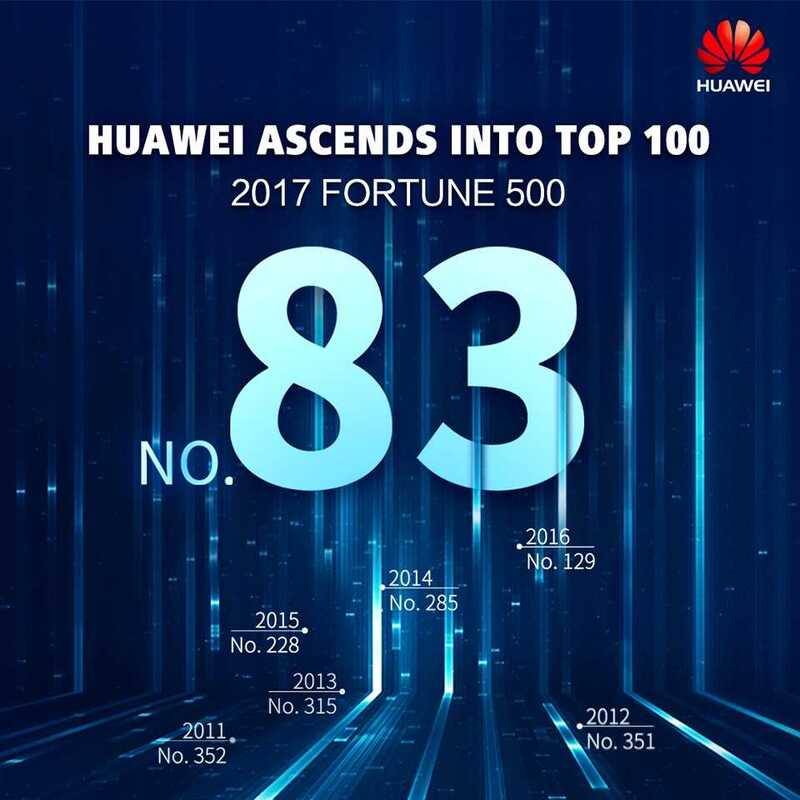 HUAWEI rises to 83rd spot in latest FORTUNE 500 List - Hello! Welcome to my blog! JULY 2017 –Huawei has reportedly climbed up to the 83rd place in the 2017 Fortune 500 list from its previous rank of 129 last year. With a revenue of $78.51 billion, the tech giant has made the top global 100 for the first time in its history, and has successfully become one of the biggest movers in the rankings along with other major players in tech such as Microsoft, Facebook, and Netflix. Known as the “ultimate list”, the Fortune 500 is considered as the most prestigious rankings of some of the biggest companies in the world according to revenue and profit, with focus on size and scale of these corporate entities. The list has become an important indicator that renowned companies use to measure their own strengths, size and international competitiveness, a parameter of global economy that transcends beyond borders, nationality and cultural differences. Huawei’s brand value has also been recognized by multiple authoritative agencies and selected for several prestigious brand value lists of the world such as Forbes Magazine’s World’s Most Valuable Brand List released in 2017. Further, it ranked at No. 49 in the 2017 BrandZ Top 100 Most Valuable Global Brands list, and climbed 7 places from last year to No. 40 in the Brand Finance 2017 Global 500 list of the top most valuable brands in the world. As one of Huawei’s three business groups, the Consumer Business Group (Huawei CBG) is committed to making the best in consumer-centric innovations possible, and becoming a signature culture and technology brand popular among consumers worldwide. According to market research statistics from widely acknowledged agencies such as IDC, SA and Trendforce, Huawei ranked third in terms of market share in the global smartphone market in Q1 2017, and first in China. Its flagship P series and Mate series have won the hearts of many consumers, building a solid foundation for the tech giant to increase its impact from medium to high ends of every market.